A three year old girl, Chloe, has been taken from her home whilst parents were sleeping. She was in the lounge. Below an open window was a car and a footprint appears on the hood. This happened on Wednesday. No sign of her yet. Chloe has been found. äppeared "in the showgrounds at about 1 am. In care of police at the moment. 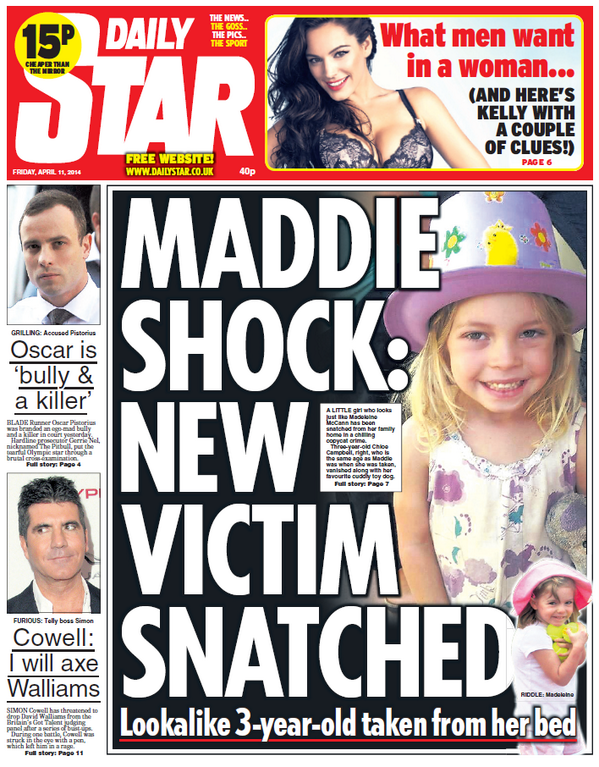 Someone got scared did they at the media attention re Madeleine too. Could have been a money ploy too. Hope the police find out exactly what happened. Little girl to be interviewed today by special police. She will talk for sure. Glad she is ok though but she did pass out in the hospital.